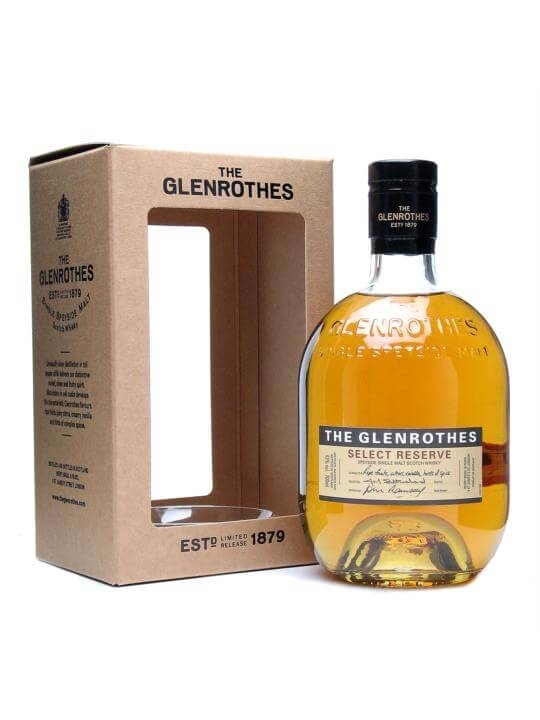 Overall, the Select Reserve is an entry level Glenrothes that is certainly drinkable … but for the serious whisky drinkers, it does not compare to the masterful older Glenrothes expressions that are among the very best whiskies. In my opinion, a little bit extra money can get you a stellar whisky from Glenrothes so buy a notch or two up the ladder. Nose: Sweet, almost syrupy, with sparks of cocoa and mild whiffs of rubbing alcohol cutting through sweet fruit that rests over honey glazed oats. There is a bitter nuttiness about this whisky, almost like peanut husks, and that develops into more luscious and buttery nuttiness with nuances of vanilla and white pepper, star anise and soy sauce – being very fond of the Vietnamese soup Pho, I am intimately familiar with star anise and soy sauce! I had to double take with the soy sauce, but it is there shaken and brewed. Taste: Very sweet initially, with a sudden bitter twang that gradually reduces into mild alcoholic fumes that lift off the palate. The sweetness is syrupy and full of sugar, and the bitterness is astringent – not quite my thing from a distillery that has delighted with its other expressions (especially the 1988, a real gem!). The interesting nose is not reproduced on the palate, which in my opinion is disappointing. Finish: Bitter wood notes develop into a medium-dry finish, with dark chocolate and sugary caramel resting on the palate with candied apricots and mild sparks of spice. For me this was ruined by a rubbery/sulphur taint…overwhelmed anything else.